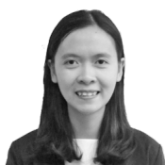 Linh Nguyen joined the team in April 2017 and is an associate at ACSV Legal Vietnam. Linh has experience with legal research on several issues in corporate, investment as well as commercial matters. Linh has also been involved in due diligence exercises and in preparation of application dossier for incorporation of domestic and foreign-invested enterprises. Copyright© 2019 One Asia Lawyers All rights reserved.